Ivory Coast coach Kamara Ibrahim on Thursday unveiled his squad for the crucial 2019 CAN qualifier against Guinea in Conakry. There are 4 new debutants in the team, including Souleymane Doumbia (Grasshopers Zurich), Comara Cheick (WAC Casablanca), El Hadj Dante, Vice Champion of the Games of La Francophonie 2017 (Lys de Sassandra) and Yacou Meité (Reading). 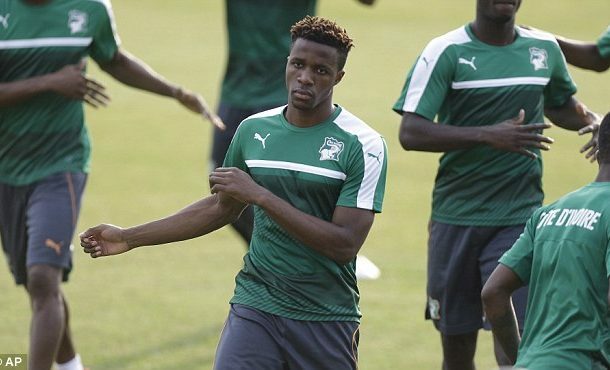 The rest of the list consist of experienced Stars such as Zaha, Serge Aurier, Eric Bailly, Wilfried Kanon, Sylvain Gbohouo, Frank Kessie, Serey Dié, Jean-Michael Seri, Max Gradel and Jonathan Kodjia. There is also a return for Gbamin replacing Ibrahim Sangaré.